The Herald of Autumn really has that American Gods feel, and because of that I liked it from the beginning. 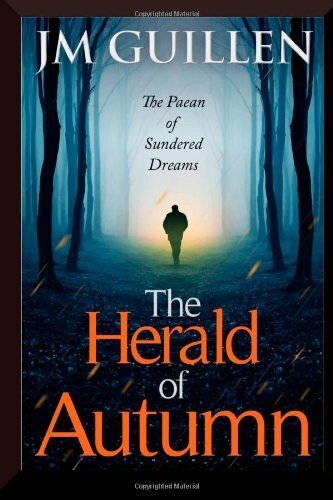 It follows the titular character, The Herald of Autumn, as he awakens to face a dark, backwoods force that swallows and possesses all the magical essence and life it can find. The Herald also has to deal with the puzzling circumstances of his awakening, brought on by a trickster-type named Coyote. There's world-building here, but it is achieved in a way that avoids infodumps and seems familiar, even if it builds on but deviates from a lot of folklore. Much of it is kept vague, which works to the story's benefit in establishing an air of mystery and suspense. A very good read in that it is engaging, provides a lot of very poetic language, and then is over before it wears out its welcome. It blends fantasy with some elements of horror very skillfully. Only downsides are that it ends abruptly and the often heavy use of italics during some of the storytelling sections is somewhat confusing. J. M. Guillen has a very interesting style of writing, if occasionally overwrought, but in this case it fits the mood and atmosphere of the material quite well.